China's smart phone maker Mi's brand, Radmi, has launched many good features and cheap price smartphones. Radmi launched its new smartphone in the beginning of this new year, whose name is Redmi Note 7. 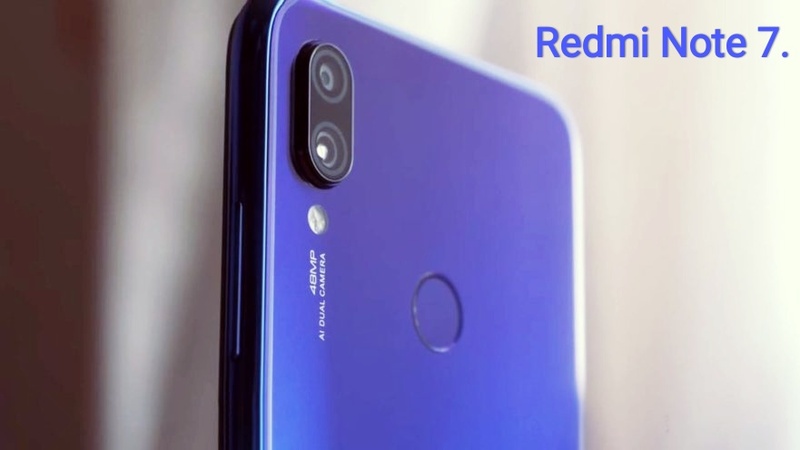 In this smartphone, you will be able to enjoy great photography as the 48 megapixel camera has been given on the back of this phone. Plus it comes with a great design and a very low cost. Let's talk about Remy Note 7 Smartphone. First of all talk about the display given in Redmi Note 7, this phone has a 6.3-inch Full HD Plus IPS LCD screen whose screen resolution is 1080 x 2160 pixels and the screen's aspect ratio is 19: 9. And this waterdramp comes with nine. Now to talk about the design and manufacture of this phone, this phone has a body glass and metal and also comes with the Smartphone Gradient Colors which gives this phone a premium premium. In order to give this phone a great performance, it has been given the Octa-Core Snapdragon 660 processor. 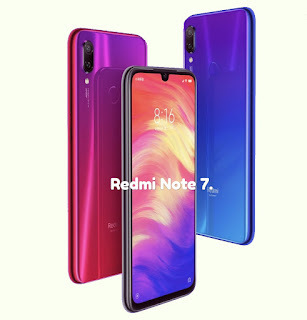 In addition, this phone has 6 GB RAM and 64 GB inbuilt storage, apart from the help of MicroSD card it is possible to increase the storage to 256 GB. This phone has a fingerprint sensor on the back of the phone for security, and this phone also supports Face Unlock. Moving towards the camera department, you would like to tell you two camera on the rear in Redmi note 7. The primary camera is 48 megapixels and it is equipped with F / 2.2 aperture. Secondary sensor is of 5 megapixels. The front panel has a 13-megapixel camera with F / 1.8 aperture. Speaking of software, Remy note 7 runs on Android 9 Pie based on MIUI 10 user interface. This smartphone has a 4,000mAh battery with fast charging support with the help of USB-C. 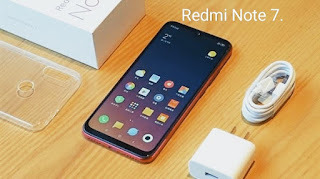 If you talk about the price of the Redmi Note 7 smartphone then the Redmi smartphone has been launched with the price of 999 yuan, which is priced according to Indian Moons, the price of this smartphone can be kept at around 10,300 rupees.